After what seems like a decade of cross-continental detective work and blind alley buffoonery, Finders Keepers finally have the auspicious privilege to introduce the incredible music of Anadolu pop’s very own Dr. Frankenstein – maestro Mustafa Ozkent. Regarded amongst hardened collectors of Anatolian rock as THE DADDY of all Turkish rarities, this record simply has to be heard to be believed and even then it’s still literally UNBELIEVABLE. Is this record for real? Either these guys had time machines or DJ Kool Herc had secret Eastern connections. If a box of original copies of this seldom-sighted album had made its way to the South Bronx in the late seventies then Mustafa Ozkent would be sharing throne space with other ultimate breaks and beats such as Michael Viner’s Incredible Bongo Band, Funky Drummer and Johnny The Fox bringing modern record collectors new found Turkish obsession forward by some 20 years. Those who have previously dipped their paws into this cavernous genre will by now be fully aware of the Turkish psych hierachy. Svengalian celebrities, TV show regulars and actors such as Baris Manco, Cem Karaca, Edip Ackbyram, Alpay and Ersen were of course the TOP DOGS on the Turkish pop scene while the likes of Mogallar, 3 Hurel, Erkin Koray and Selda Bagcan became the rebellious strays with the proto-punk ideals. Deeper still you will find the faceless UNDERDOGS such as Zafer Dilek and Okay Temiz who worked behind the scenes providing uncredited music for the TOP DOGS and creating endless reels of experimental production music and library cuts for television and film. But you’ll have to dig even deeper before you discover an artist like the lesser-spotted Mustafa. This young pup was of a whole different pedigree. This LP is not easy to find. To say its ambiguous sleeve design is a bit misleading is an understatement. The bright green jacket depicting a PG Tips-style monkey causing havoc in the studio is not dissimilar to an 80’s chimp-sploitation poster bought from Athena. Is it a comedy record? Is it a soundtrack to a wacky Turkish movie? Is it a kids’ record? A handy list of hybrid music genres fails to make the picture any clearer – Rhythm & Soul, Blues ‘N Jazz, Folc with a ‘c’… In this day and age your average stuck-up self-acclaimed musicologist might argue that none of the above musical styles are accurately represented on this album so perhaps it’s safe to say that the contents of this prize LP are in fact free from categorisation. On the surface, Mustafa Ozkent’s Orchestra were perhaps nothing more than a stage band or an indigenous, rhythm-heavy cabaret band quite similar to the likes of the aforementioned Incredible Bongo Band or the recently excavated Kashmere Stage Band. 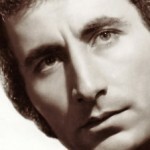 Turkish pop historians regularly cite the huge influence the likes of The Shadows and The Ventures had on the youth of Istanbul as a significant turning point for the burgeoning Anadolu pop scene. 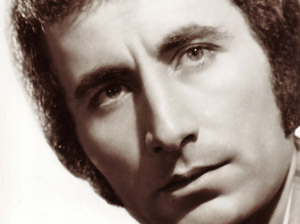 Groups like The Mavi Isiklar and Mogallar began to release their own take on guitar standards and surf-groops utilising their first language both lyrically and instrumentally while retaining their traditional, self-taught mastery and pushing the boundaries of Western European and American culture for the discotheque crowd after hours. At times young artists would be forced to compromise their traditional expertise in misguided attempts to replicate the dumbed-down sound of white trash America – and herein lies the secret that segregated Mustafa Ozkent’s men from the Basphorus boys. As an expert in both carpentry and electronics, Ozkent was keen to combine his skills with his interests in music and science. Fuelled by a passion for traditional music values the natural progression was inevitable and as Mustafa’s reputation and repetoire of original compositions mutated so did his instruments. Not unlike a Turkish Harry Partch, Mustafa went on to invent specially treated guitars with additional frets enabling him to replicate unique notes similar to that of a saz or lute allowing the musician to emulate the sound of Western Jimi Hendrix style wah-wah and fuzz while retaining the versatility and rawness of the traditional Eastern sensibilites which ran through young Istanbul’s veins. From here on Mustafa’s legacy continued to mutate, and Turkish pop music metamorphosised beyond its wildest dreams, leaving an instrumental album like Gençlik Ile Elele silently seminal, but in time virtually unattainable. 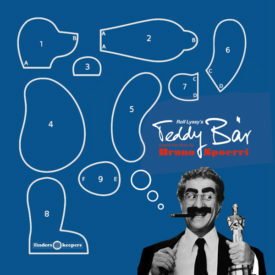 Recorded in 1972 for one of Turkey’s more obscure bespoke record labels Evren records, who were keen to experiment with new developments in stereo reproduction for a commercial market. 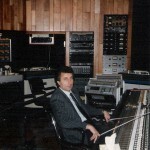 Ozkent had a good reputation amongst forward-thinking studio engineers and was respected for his work as an arranger with an open mind and wealth of unique musicians at his disposal. On request of Evren bosses, Mustafa embarked on his first self-penned LP which would test the boundaries of the new sonic medium by creating a lively and futuristic rhythmical pop sound. Mustafa enlisted the services of ‘Evren’ Hammond organist Umit Aksu who would inject Hawkshaw style Champ-vamps throughout the LP while a young (future Anadolu SSW star) Cahit Oben would accompany Mustafa on a second guitar to secure some heavy Anatolian-psych interplay begging comparisons to that of Micky Karoli from Krautrockers Can (albeit in a slightly less teutonic environment). The utilisation of twin drummers and a percussionist who would play long rhythmical passages without accompaniment would also explain a secure future audience amongst DJs who were lucky enough to track down the original article (naturally on this release we have done our very best to preserve the upmost sound quality of all these music elements with the assistance of Mr. Ozkent himself using the original stereo mastertapes). 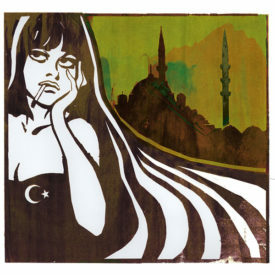 After initial rehearsals of Ozkent’s new compositions, Evern were able to secure studio time at Istanbul’s legendary Grafson studios where the full band would assemble to record the live music in single takes without overdubs and in the absence of multi channel recording Mustafa adopted some handy microphone techniques to emulate the total-stereo effect and capture the heavy psychedelic effects and solid close-miked beat breaks. In 1973, the ten track album was released with the Turkish title Gençlik Ile Elele (Hand In Hand With Youth) with a warm reception from DJs and nightclubbers through the city, whilst receiving regular plays on radio and television. 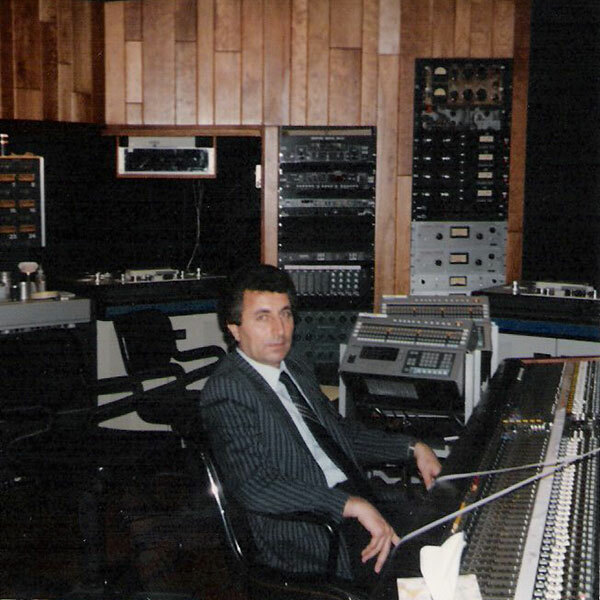 Despite the cutting-edge approach to Ozkent’s eclectic arrangements, the fact that the album was – as originally requested – devoid of vocals, Evren decided not to release any singles from the LP and all the compositions were exclusive to this rare vinyl long player release (many collectors of Turkish vinyl will be aware that within time a huge number of Turkish LPs were taken off the shelves and destroyed or recycled due to oil-shortages, though 45s were spared). Within a short time as the Anatolian psych explosion approached its hiatus, Gençlik Ile Elele paled into the acid-stained paisly backdrop overnight – a familiar tale throughout the Finders Keepers catalogue. Unwounded however, and without hesitation, Mustafa went on to be a hugely in-demand arranger and producer concentrating on his own unaccompanied and truly experimental guitar and saz ventures relentlessly up until recent months and undoubtedly beyond. The Anatolian Invasion continues.